Preserve Your Health. Call Today! Call Now To Address Your Women's Health Concerns! No matter your condition or background, as a woman in need of health care you want to rely on an office that is professional, private, and knowledgeable. Dr. Xiao-Mei Zeng and her team provide this care, and go one step further to make sure you feel cared for; that all of your health needs are met in a comfortable, nurturing environment. Whether you are planning a baby, having a baby, looking to maintain good health, or maximizing your quality of life, Dr. Zeng's expansive services will cover your health needs. Our focus is to address the medical issues that are unique to women, and to create a space in which you are at ease to explore your individual health care. 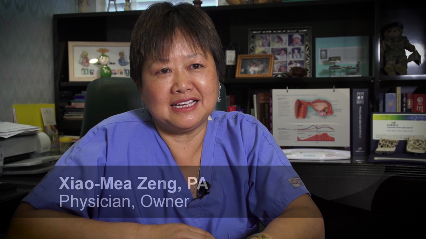 Visit Dr. Zeng and receive the highest standard of women's health care. Copyright © 2018 obgyninbocaboyntonflorida.com All rights reserved.